When I reviewed Snow Valley Heroes: A Christmas Tale, I was reviewing the third in a series of books aimed at children from 7 to 11. So, I went back to read the first two books in the series by Robert McCarty, with beautiful illustrations of dogs by Stella Mustanoja McCarty. Planet of the Dogs starts before there were dogs on Planet Earth. But, people had been living in peace until warrior tribes started to grow, stealing food, land and farms from peaceful people. On the Planet of the Dogs, dogs lived in peace and happiness. When the dogs saw that the warriors were attacking other people, they knew people needed to learn about love. So, they brought two children, Daisy and Bean, to the Planet of the Dog, to meet the dogs, hoping children could teach adults to learn about the power of love. When the children returned to Planet Earth, the Stone City warriors, led by Bik, were attacking villages, and planning to attack Green Valley, where Daisy and Bean lived. Before the dogs could help the villagers, they had to prove they could help them, by herding sheep, warning the people of bears, and visiting the sick and unhappy. Eventually, the dogs were able to prove to the villagers first, and then Bik, that they were necessary, and people should live together in peace. Castle in the Mist brings back Bik, now living in peace with the people of Green Valley. Prince Ukko, the leader of the Black Hawk tribes, is unhappy with the peace that has descended on the land. He demands that Bik sell him horses, and turn over the dogs, dropping their peaceful ways. Bik refuses, and when his children, Nik and Nikki are kidnapped by Prince Ukko's soldiers, he's willing to go to war. But, the dogs have seen this from the Planet of the Dogs, and they call Daisy and Bean back to tell them their plans. The dogs are going to harass Prince Ukko and his forces, howling and hiding from them. Their plan works so well that Prince Ukko can't sleep well. He suffers from headaches, and can't eat. While some dogs work against Prince Ukko, others try to show the forest people how valuable they can be. There are touches of humor in both books, particularly in the description of the Planet of the Dogs. Children will enjoy the names of their homes, such as Poodletown, Muttville, and Hound Dog Hamlet. The dogs sing, and grow dog food on trees. And, there are messages of love and peace in both books. In addition, the stories teach children what dogs give to people; their power of smell, the ability to work together, their loyalty, and the power of love. Most of all, the Planet of the Dog books are about the power, and importance, of love. These stories, with the importance of the role of children and dogs, along with the suspense, will be enjoyed by most children in this age group. And, everyone will appreciate the soft, accurate drawings of the dogs. 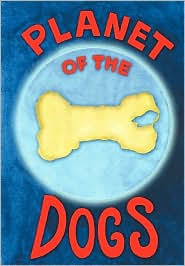 The Planet of the Dogs series is a fun series for children who love animals. Planet of the Dogs by Robert J. McCarty, Stella Mustanoja McCarty, illustrator. Barking Planet Productions, ©2006. ISBN 9780978692803 (paperback), 102p. 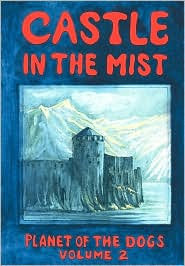 Castle in the Mist by Robert J. McCarty, Stella Mustanoja McCarty, illustrator. Barking Planet Productions. 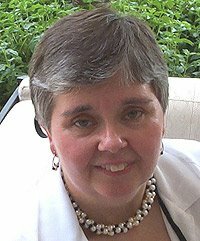 ©2007. ISBN 9780978692810 (paperback), 112p. of our Planet of the Dogs series. Your summary was so clear and touched on all of our intentions. The fact that you are a life-long librarian in a addition to being a dedicated book lover, makes your review especially meaningful to us. Thank you, Robert. I enjoyed the stories in both books. And, please tell Stella her dog illustrationw are wonderful!